Senator Hope Uzodinma might be teaming up with the deputy governor of Imo State as he clinches the APC gubernatorial ticket in Imo. Barring any last minute change, speculations are rife that Imo State Deputy Governor, Prince Eze Madumere, may bounce back as the running mate to the All Progressives Congress (APC) governorship candidate for the 2019 election in Imo State, Senator Hope Uzodinma. 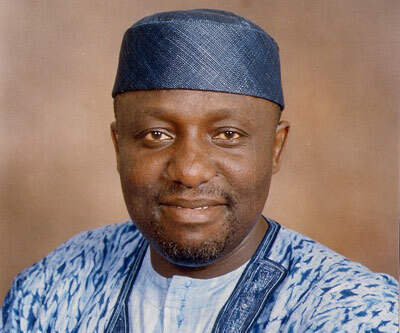 His role in the Imo APC Restoration Coalition otherwise known as the ‘Allied Forces’ that successfully wrested the APC structure from Governor Rochas Okorocha was said to be the biggest consideration in his choice. A correspondent gathered that many names were presented but the choice was narrowed down to Madumere because of his calm disposition. Madumere, who successfully fought an impeachment by the Imo State House of Assembly, was also reportedly being considered because of what was perceived as his role in providing stability to the Okorocha administration and his wider reach. His choice, according to analysts, would also assuage the anger of Owerri zone, which presented eight aspirants in the last governorship primaries but failed to get the ticket over their inability to arrive at a consensus candidate. Media aide to Madumere, Uche Onwuchekwa, was non-committal when Daily Trust sought his confirmation, but he did not rule out the possibility. He said, “Well we are watching, but the prospect cannot be ruled out. Remember his role in the coalition and the fact that he was one of the forerunners in the governorship primary election. Meanwhile, Daily Trust has gathered that Governor Rochas Okorocha has ordered the withdrawal of aides attached to Deputy Governor Madumere. Among the aides withdrawn were official drivers and administrative staff posted to the office of the deputy governor. Security details of the deputy governor are also yet to be restored months after they were withdrawn at the peak of the plot to impeach him.